Joique Bell isn’t finished with football. At least, he hopes he’s not. The veteran running back says he’s still looking to find work for the 2017 season (Twitter links via SiriusXM). It could be a while before Bell gets the call he’s waiting for. Bell will turn 31 in August and he didn’t get to show teams a whole lot on the field last season. 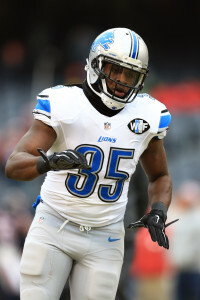 Bell spent the majority of his career with the Lions before hooking on with the Bears last fall. His stint in Chicago lasted just four games and he totaled only three carries. When a December workout with the Packers did not result in a deal, he circled back to Detroit to serve as the team’s No. 4 RB behind Theo Riddick, Dwayne Washington, and Zach Zenner. He did not attempt any carries in his second Lions stint and had just one catch for negative two yards. Bell’s most productive season as a runner came in 2014 when he ran for 860 yards and seven touchdowns. He also thrived as a pass-catching specialist for Detroit in 2012 and 2013, recording upwards of 50 receptions in each season. Saints running back Tim Hightower has a new appreciation for the business side of the NFL after having negotiated his own contract last offseason. Hightower ultimately landed a one-year deal worth $840K. The running back has run for 422 yards and one touchdown this season. The Panthers announced that Luke Kuechly has returned to practice. The linebacker hasn’t suited up for the team in 20 days, when he was concussed during his team’s win against the Saints. The 25-year-old has 102 tackles and two sacks this season. Packers linebacker Nick Perry had surgery to repair several broken fingers, sources told NFL.com’s Ian Rapoport (via Twitter). The veteran will be out for this weekend’s contest against the Seahawks, but it doesn’t sound like the 26-year-old will be out for long. Rapoport notes that the organization is hoping Perry can continue playing in a cast. The Lions cleared out tight end Brandon Pettigrew‘s locker today, and Dave Birkett of the Detroit Free Press reports that it’s only a matter of time before the team moves on from the 31-year-old. Pettigrew, who has sat out the entire season as he’s recovered from a torn anterior cruciate ligament, is under contract through 2017. The Lions shouldn’t expect much from running back Joique Bell, writes ESPN.com’s Michael Rothstein. The team could certainly use a running back, and Bell did have an 860-yard campaign with Detroit in 2014. However, Rothstein believes the 30-year-old’s best days are behind him. 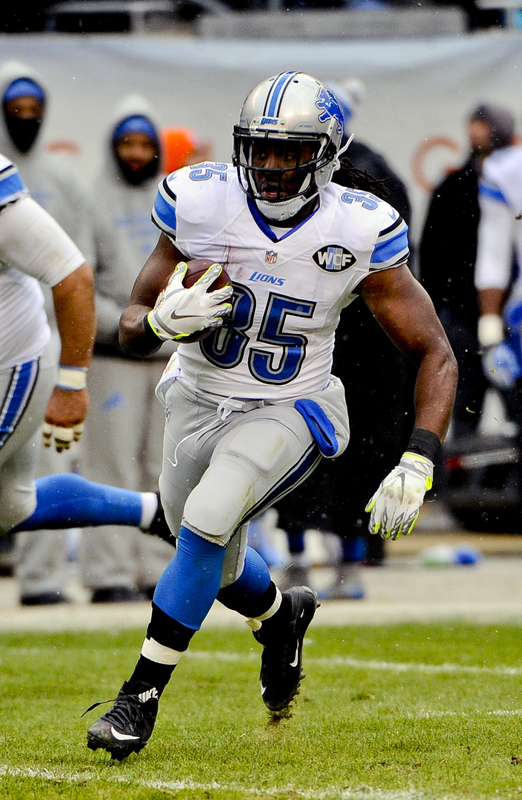 The Lions added the veteran running back yesterday. The Lions announced that they have signed running back Joique Bell. At the same time, they have placed tight end Brandon Pettigrew on the physically unable to perform list and placed defensive end Armonty Bryant to injured reserve. Bell has been on the open market since late October when the Bears released him. Bell, a sixth-year veteran who has spent the majority of his career with the NFC North rival Lions, appeared in four games for the Bears and totaled just three carries. Between his release from the Lions in February and his deal with Chicago, the 30-year-old sat on the open market for several months. Can he find success again with the Lions? That remains to be seen, but he won’t be counted on for as many carries this time around. He’ll now slot in as the team’s No. 4 RB behind Theo Riddick, Dwayne Washington, and Zach Zenner. The Lions were hoping to get Brandon Pettigrew off of the PUP list and back on the field before the end of the season. Unfortunately, the big tight end couldn’t stay healthy. Detroit will have to make do without their best blocking TE for the rest of the month and – if they qualify – the playoffs. Bryant was just activated after serving a three-game suspension. Unfortunately, he suffered a knee injury over the weekend. Bryant, 26, enjoyed something of a breakout season in 2015, racking up career-highs in sacks (5.5), tackles (40), and forced fumbles (two). In five games for Detroit this year, Bryant racked up five total tackles and three sacks. In other Lions news, the team has plucked cornerback Asa Jackson from the Ravens. Packers Expected To Sign Joique Bell? 09:18am: It appears as though Joique Bell‘s tour of the NFC North will continue. Ian Rapoport of NFL.com tweets that the Packers are expected to sign Bell, who has also suited up for the Lions and Bears, on Monday. Bell signed with Chicago in September but totaled just three carries in his four appearances with the Bears. The 30-year-old back sat on the open market for a few months after being cut by the Lions back in February. He had refused to accept a pay cut from Detroit, which led to his release. Bell averaged just 3.5 yards per carry in 2015, the lowest of his career. However, he has a history of productivity and has shown that he can be a fairly effective runner and very strong receiver out of the backfield when given the opportunity. Before Theo Riddick was doing damage as a pass-catching back in the Lions’ offense, it was Bell who was making things happen with his hands. In his first two seasons with Detroit, Bell averaged 52 catches for 516 yards. The Packers’ backfield has been a mess this season, and although James Starks returned to practice this week, Green Bay is clearly in need of more talent. Josh Alper of Pro Football Talk summarizes the Packers’ running back woes this year, noting that injuries to Starks and Eddie Lacy have led the team to trade for Knile Davis–whom the team cut earlier this week–elevate Don Jackson from the practice squad and use wide receivers Ty Montgomery and Randall Cobb out of the backfield at times. Green Bay ranks 19th in the league in rushing yards per game. Less than a month after the Bears signed Joique Bell, the team has released the running back, reports Field Yates of ESPN (Twitter link). Bell, a sixth-year veteran who has spent the majority of his career with the NFC North rival Lions, appeared in four games for the Bears and totaled just three carries. Between his release from the Lions in February and his deal with Chicago, the 30-year-old sat on the open market for several months. With Bell gone, the Bears will go forward with Jordan Howard, Jeremy Langford and Ka’Deem Carey as their backfield options. Langford has been out since Week 3 with an ankle injury, but he could be nearing a return. Howard and Carey have filled in well in his absence, combining for 459 yards on 96 carries. The lion’s share of work has gone to Howard, a fifth-round rookie who has averaged 4.8 yards per rush on 72 attempts, scored two touchdowns (including one receiving) and caught 14 passes. The Bears have signed running back Joique Bell, as NFL reporter Rand Getlin tweets. Bell met with Chicago late this morning and it didn’t take long for the two sides to shake hands on a deal. Bell has been on the market since he was released by the Lions in February. Prior to his release, the tailback turned down a pay cut proposal. In hindsight, Bell might have been too confident in the strength of his market. Regardless, Bell is now back in the game and back in the NFC North. The veteran will have an opportunity to exact revenge on his old team this Sunday when the Bears face off against Detroit. Bell, 30, averaged just 3.5 yards per carry last season, the lowest of his career. However, he has a history of productivity and has shown that he can be an effective runner and pass catcher when given the opportunity. Before Theo Riddick was doing damage as a pass-catching back in the Lions’ offense, it was Bell who was making things happen with his hands. In his first two seasons with Detroit, Bell averaged 52 catches for 516 yards. Bell will likely serve as a reserve tailback behind Jordan Howard while starter Jeremy Langford heals up from a ankle injury. Ka’Deem Carey is also dealing with a hamstring injury and his status going forward is uncertain. The Bears are working out running back Joique Bell today, as freelance reporter Rand Getlin tweets. Chicago is exploring depth options after losing Jeremy Langford to injury. Langford is expected to be out for 4-6 weeks with a sprained ankle and backup Ka’Deem Carey is dealing with a hamstring issue. If Carey cannot go in Week 4, the Bears will likely use rookie Jordan Howard as their primary back. Raheem Mostert is also on the depth chart, but the Bears will need another RB with experience behind the Indiana product if Carey cannot suit up. In 13 games for Detroit last season, Bell racked up 311 yards off of 90 carries with four touchdowns. He also caught 22 passes for 286 yards. Despite giving the Lions multiple seasons of production, Bell was cut earlier this year to save $1MM against the cap. 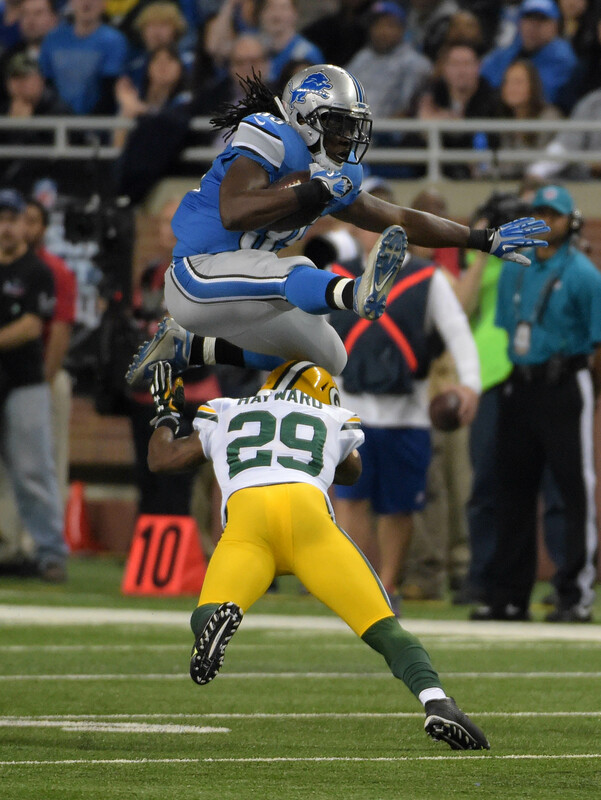 Running back Joique Bell worked out for the Lions today, according to Adam Caplan of ESPN.com (on Twitter). Bell, of course, played for the Lions from 2012-2015. If Bell looks good and Ameer Abdullah‘s prognosis doesn’t improve, the Lions could theoretically turn to the veteran for support in the backfield. Abdullah suffered a left foot sprain over the weekend and is currently being examined by a specialist in Charlotte, North Carolina. Right now, the expectation is that the sophomore will miss only one or two games, but we should have a better handle on his condition by the end of the day. Currently, the Lions have Abdullah, Theo Riddick, Dwayne Washington, and Zach Zenner at running back. Jason La Canfora of CBS Sports examined the job security of each NFL head coach entering the season. In La Canfora’s estimation, Rex Ryan (Bills), Gus Bradley (Jaguars), Jim Caldwell (Lions), Mike McCoy (Chargers), Marvin Lewis (Bengals), Bill O’Brien (Texans) and Jason Garrett (Cowboys) are the least secure coaches going into this year. Of that group, two (Lewis and O’Brien) were at the helm of playoff teams last season. Ryan has only been in Buffalo for a year, making him the shortest-tenured member of the septet. Free agent running back Joique Bell told SiriusXM NFL Radio (audio link) on Friday that a few teams are interested in signing him. Bell added that he hopes to join his next team in July. The 29-year-old, who stated last week that he has “two or three offers on the table,” has been on the market since the Lions cut him in February.